The new speed-detecting system would be operational on Expressways from today, Expressway Operation Maintenance and Management Division said. Speaking to the Daily Mirror Southern Expressway Deputy Director R.A.D. 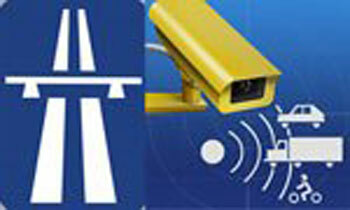 Kahatapitiya said the operation of the new speed-detecting system would help reduce the accidents on the Expressway, while keeping the maximum speed to 100kmph. “With the use of the new speed-detecting system, vehicles will be compelled to maintain the speed to 100 kmph and the drivers exceeding the limit will be fined,” he said. Mr Kahatapitiya said drivers found exceeding the 100kmph speed limit would be given a photograph taken at the time the vehicle had exceeded the speed limit. He said the photograph would include the vehicle number, observed time and the speed at the time. The new system is capable of capturing these details even at night. Well and good. How about the fine? Will it be severe enough to deter speeding is the question. Good proposal . Why not on the Galle road which has a greater no of speeding busses and other vehicles. All Trunk roads have to be policed for road rules. Fines will easily cover Enforcement costs. If the son of a high profile politician speed 100km,will the police take action.